One of my favorite things about birding is sharing the wonder of birds with others. Every winter I look forward to visiting Whitewater Draw Wildlife Area in the Sulphur Springs Valley of Southeast Arizona. 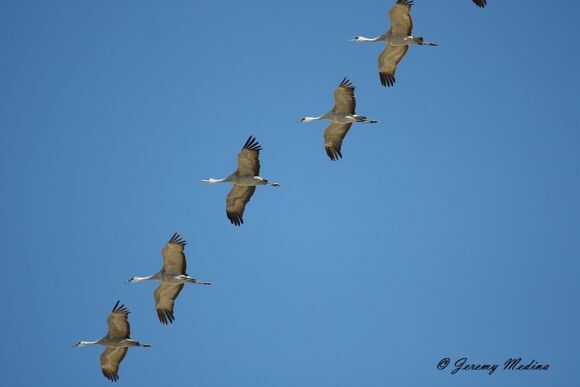 Up to 30,000 Sandhill Cranes can be found here during the winter. It's no Kearney, Nebraska but it's only a 90 mile drive for me from Tucson. Last weekend I decided to take my friend Geniece to see this spectacle for the first time. Somehow I convinced her and Gaby that we needed to leave at 5 o'clock in the morning to arrive before the morning lift-off at sunrise. We could hear their loud calls as soon as we got out of the truck. Thousands of cranes were waking up and getting ready to head for the fields to feed on the waste grain left after harvest, especially corn. Geniece was impressed with their numbers and gracefulness. 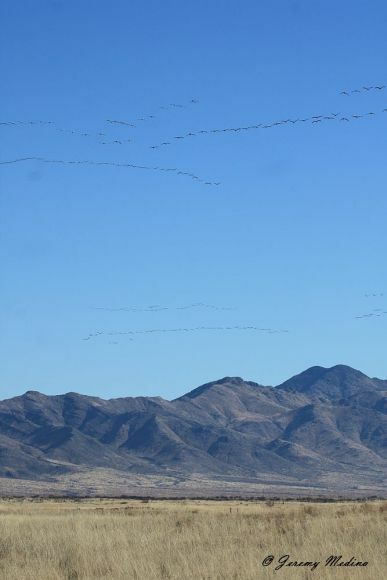 In 1997, the Arizona Game and Fish Department purchased this 1400-acre site to support the wintering population of Sandhill Cranes and waterfowl. 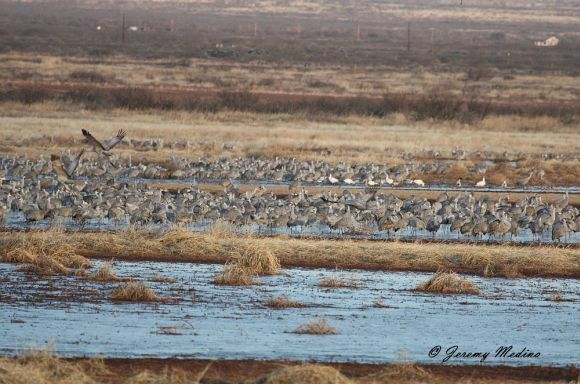 Over 600 acres are intermittently flooded to provide the cranes with a roosting area of shallow water. 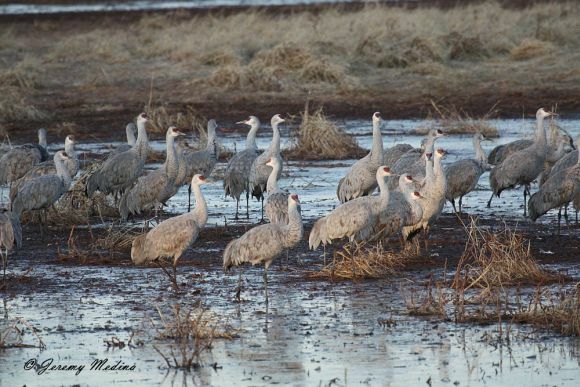 According to a sign posted here, the Sandhill Cranes of the Sulphur Springs Valley represent two populations, the Rocky Mountain and the Mid-Continent. 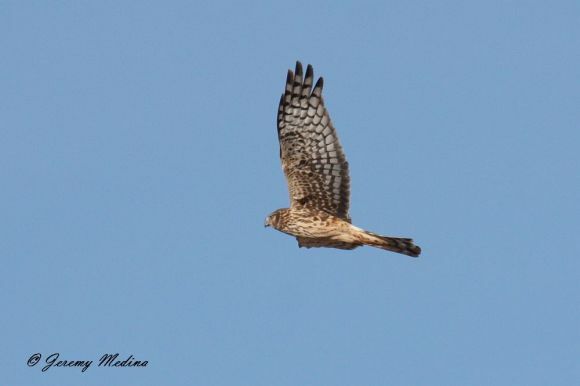 The area is also great for sparrows and raptors. 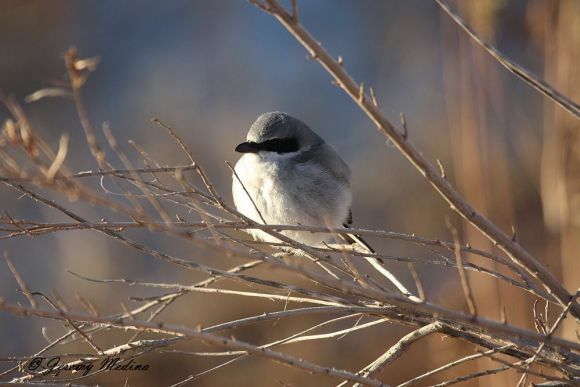 In fact, two of the most popular tours of the Wings Over Willcox Birding and Nature Festival are the hawk stalks and sparrow seeks. 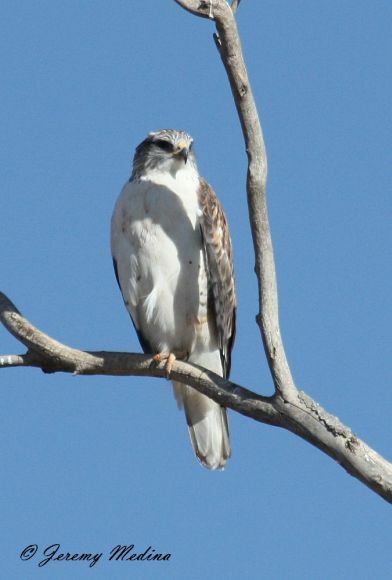 In my opinion, the most gorgeous hawks in the area are the Ferruginous Hawks. 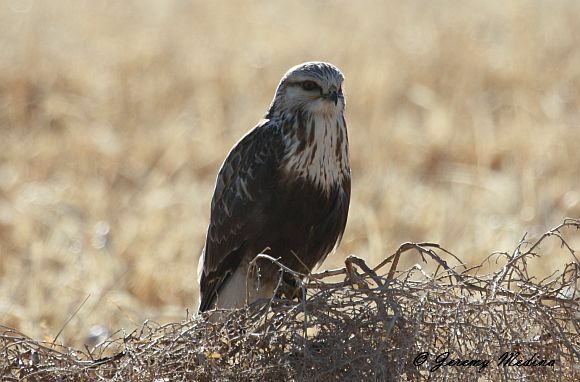 But last year on one of the hawk stalks, Tom Woods and Sheri Williamson found a Rough-legged Hawk that stole the show. The festival is happening right now through this weekend (Jan. 11-15). I highly recommend checking out the descriptions of the tours on their site and attending next year or in the near future. After watching the cranes, Gaby retreated to the truck to get out of the cold. 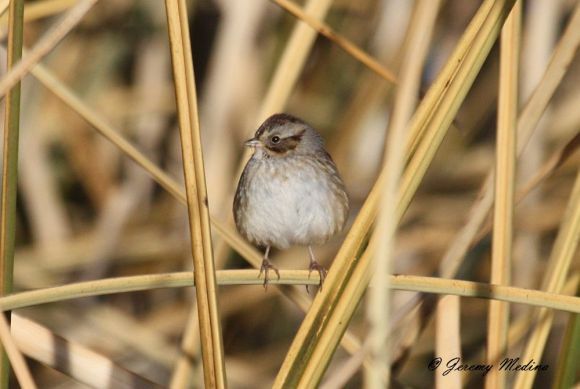 Geniece and I walked around in search of a Swamp Sparrow and a pair of American Bitterns. Both are rare in Southeast Arizona, but had been seen here recently. I pulled up an image of the bittern on my phone and showed Geniece what we were looking for. At least seven species of ducks were around. while a shrike soaked up the morning sun. Multiple harriers cruised over the grass. Then I spotted what I had been looking for. Luckily my frozen index finger still worked so I could take this shot. I noticed one person left in the area braving the freezing temperatures and scoping the distant cranes and geese on the observation deck. We walked over and greeted him. He offered us his scope and pointed out the Ross's geese mixed in with the Snow geese. Geniece told him this was her first time seeing the cranes and only her third time birding. After chatting a while, it was clear that when this man talks, you listen. I told him I was hoping for an American Bittern and asked him if he had seen one. He hadn't. I remarked that I would probably have to make multiple trips here to see it. We thanked him for the looks through his scope and continued on our way. Two minutes later Geniece says, "Is that a stick over there?" She knew it wasn't a stick, she was just thinking out loud. "There it is!" she finally blurted out. I looked where she was pointing and could hardly believe my eyes. Among the reeds, an American Bittern was motionless with its bill pointed straight in the sky! We enjoyed fantastic looks at the bird with the sun at our back. As I got some images of it, I told Geniece to go get the gentleman we had met earlier who was still on the platform. Just before they returned, the bittern disappeared into the reeds. But luckily it reappeared a few minutes later and we enjoyed watching it soak up the sun's rays. He set up his scope and I had the most incredibly crisp, close-up views of any bird I've ever had. It was breathtaking! The three of us continued on together in great spirits and continued to talk. Well, mostly Geniece and I just listened. It turns out the gracious gentleman was Texas birding legend Ben Feltner. He told us about his Eskimo Curlew sighting of 1959 on Galveston Island. It was incredible! Luckily I'm not the only one that enjoys sharing the wonder of birds with others. What a treat! 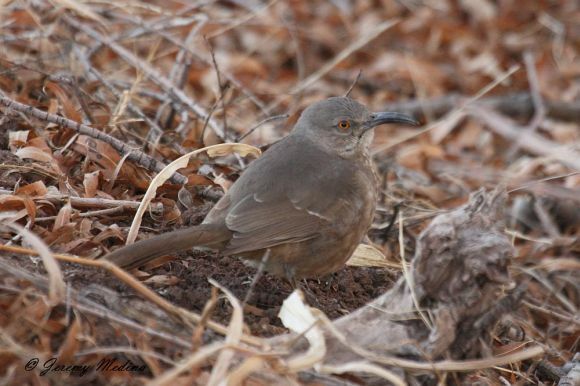 Not only had Geniece's first look through a scope been through Ben Feltner's Kowa, she had found him a new state bird! We will always remember this as our best birder sighting ever. Absolutely wonderful post & images Jeremy! This was VERY helpful. Your narration was good. What a great experience! Makes it worth getting up so early and enduring the cold. May you have many more amazing birding experiences! Great post about a great spot - have only been there once, but what a treat! Sounds like an awesome place! Glad you were able to find all your targets- those numb fingers get me every time.. Sometimes I think I'm pushing the shutter button but really my finger's not even moving. Thanks for sharing your wonderful photos! Bill, whomever you are, I love your comment! Makes me wish there was a "like" button on blogger! Oh what a glorious day spent at Whitewater Draw Wildlife Area! I get excited when I see one Sandhill Crane flying aloft. I can't imagine what it would be like to view such a large congregation of these amazing birds. Sounds like you had a wonderful experience. The photographs in this post are fantastic! 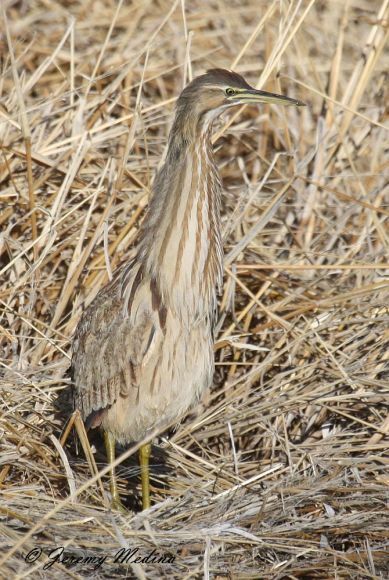 Congratulations on seeing the American Bittern. They are so very elusive. Thank you for sharing! Thanks for all the great comments everyone! Good point Bill. 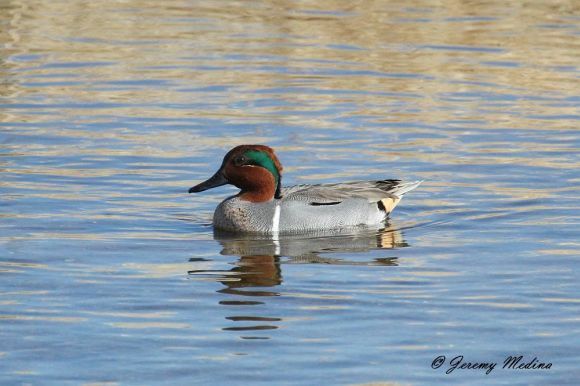 Whitewater Draw is a wonderful birding area. Love your post and photos!